The past few months have been rather difficult. I feel bad that I have not been around to contribute more to this very fine forum. We had a death in our family a few weeks ago. We have the great peace of knowing he is in heaven, but that took me out of commission for a little while. This Tuesday I had my most recent MDA doctor visit, and the report from the doctor wasn't the best report I have had. I came home and decided I was going to do what I can do as long as I can (My health is not so bad, but I have lost significant strength in my hands). There is not a lot of Band In The Box on this one (I did use the bass part, to make it acceptable to submit here on the forum.) I probably would not be doing what I am doing today were it not for the day that I picked up a copy of Band In A Box a few years ago on a whim. But I wanted to play as much of the instrumentation on this one as possible, myself. I wrote the song around the piano, but kept adding orchestration, and ended up here. I dusted off my old "Sam Ash Special" $80 Ibanez acoustic guitar and decided to play the guitar solo. The piano sound is Alicia's Keys in Kontakt 5. Most of the orchestration is EastWest Hollywood Strings, Brass, Woodwinds, and Percussion. All recorded in Logic Pro X with my M-Audio KeyStudio 49. The guitar is just single-mic'd with my MXL Live Series mic. It's really good to see you. I'm so sorry to hear that things have not been travelling along as smoothly as possible for you and your family. I'm also very sorry to hear about your loss. This composition of yours is stunning, really stunning. Your ability to orchestrate is up there with the best in the forum. I've said this many times over the years. Since your scores never diminish in quality, though, it's always worth saying again! I greatly admire your talent and the way you consistently manage to find exactly the right sound and combination of sounds to provide the best musical excursion possible. As I said earlier... stunning, really stunning. A beautiful composition and fabulous production. I'm very sorry to hear you're going through a bad patch health wise and family wise. I hope composing these beautiful tunes brings you some solace at this time. Sometimes words are not relevant. This composition is amazing. I could listen to it for hours. I am trying to put a little more of myself into my recordings, as well. I have problems recording bass as well. I don't play bass as often as I should, so my delivery has suffered for it. I haven't fired up my keyboards in months, so it is going to be a long process. I will say that the quality of your piano doesn't seem to be suffering. You play beautifully. Sorry you are having problems with your health. I wish you well, and pray for better days ahead. This is simply beautiful! What a marvelous piece of music. You made that $80.00 Ibanez sound like a million bucks. The arrangement and tracks are splendid. I'd love to be able to do something like this. Don't think I'm that talented. Sorry to hear about the family loss. And those health issues are always a matter of concern. I'm glad to hear the issues aren't as bad as could be. I know your frustration as I have Focal Dystonia, which has significantly hampered my guitar playing. I'm using BIAB guitar tracks on many of my compositions now. Aldo, the chemo left my left left hand fairly numb. Hang in there and keep doing what you can while you can. And Di is so weak now she can barely walk from the bedroom to the kitchen. But, we keep at it as much as possible. Good to see you are doing the same. Wishing you the very best and, once again, a beautiful piece of music. We are very sorry to hear about your loss and the problems with your hand. But wow... this really is gorgeous! 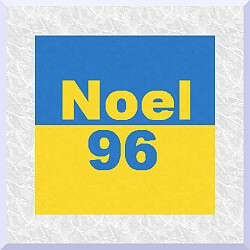 Noel, it is always so good to hear from you, my friend! Your comments are always so thoughtful, encouraging and uplifting. Music to my ears! So appreciate your kind words. Neil, thank you so much for your kind words. I really appreciate your thoughts of concern. God definitely uses music to strengthen me. Once again, thanks! Thank you very much, Deryk! Glad you like this one. I also truly appreciate your comments of encouragement about my health. PG Music has had a greater impact on me and my music than I know how to express. Great product, great staff! Steve your work is always original and outstanding. You never fail to impress me. That streak continues. This is gorgeous - in all regards. I wish you strength in all things. Steve, so so sorry to hear about your problems recently. More often than not, when we're sad we compose the best music and THIS is one of the loveliest pieces of music I've ever heard on here. It would make fantastic incidental music for a movie or a series like the game of thrones. You should submit this piece to Classic FM here in the UK for airplay they would play it for sure. I was deeply moved by your splendid score. The melody is also very beautiful. All the instruments are very well chosen and combined. I think you really well studied the orchestral arrangement. The skills of piano and guitar are also wonderful. Please accept my deepest condolences ! go and time is the only healer !! Hope you are allright ? stright into a movie !!!! Thanks, Gary! So glad you like this one. I say it's time to fire up your keyboards and practice that bass! I look forward to hearing more of your stuff! Thanks again for your kind words. Thanks so much, Alan. Really appreciate your generous comments! I pray for you and Di, that you will both be strengthened and encouraged. You are a blessing to this forum. Always enjoy hearing from you. Rob and Anne-Marie, it is always so good to hear from you! Glad you enjoyed this one. It has been allergy season in this part of Texas lately, and my voice has been just a little "scratchy". But I plan on recording some vocals real soon. Thanks again for your very kind words! Thanks, Torrey! Always good to hear from you. Glad you like this. Thanks for your kind words! Rob, I really appreciate your comments! Thanks for dropping in on this one! Thanks so much, Kenny. Your kind words are very appreciated! Beautiful song Stephen. Sorry for your loss. Music has a wonderful way of making sad times a little bit better.